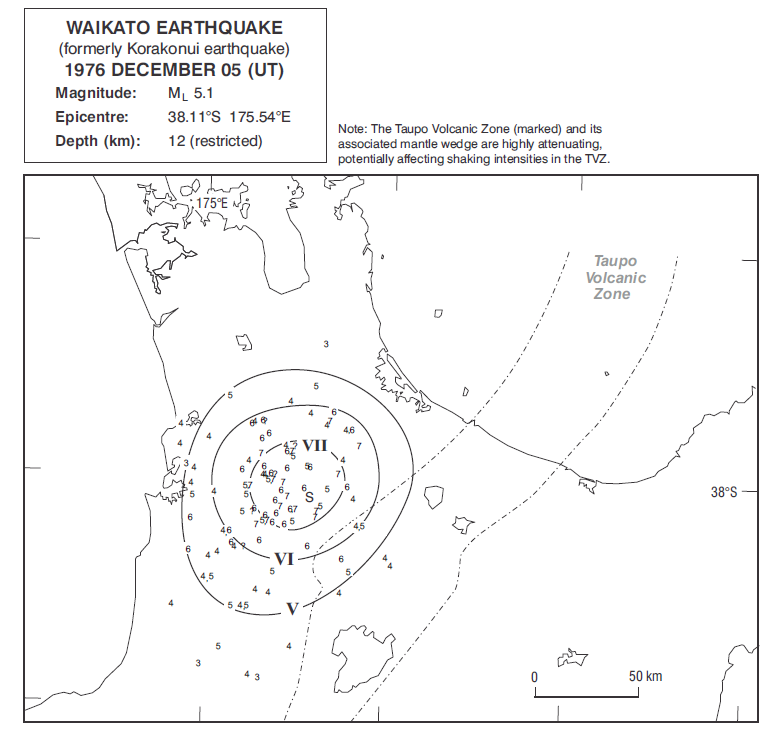 Isoseismal map of the Waikato earthquake. Courtesy Atlas of isoseismal maps of New Zealand earthquakes (2nd edition): Downes, G.L. ; Dowrick, D.J. This earthquake was felt in most places west of the Waikato River, alarming the nearby communities. Scattered minor damage extended from Hamilton to Te Kuiti, but the most damage occurred near the settlement of Korakonui, where several houses lost chimneys and suffered other significant damage1.